Windshield chips and cracks can vary significantly in appearance from spider-web cracks that can extend across the width of your windshield to tiny chips that are barely visible, most of these types of damage are caused by impacts from rocks and other flying debris. Understanding the difference between each type of damage can help you make the right decisions when entrusting your vehicle to a Houston auto glass repair shop. 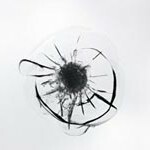 Here are some of the most common types of cracks and chips along with some recommendations for repairing or replacing your windshield. Also known as dings or pits, chips in your windshield usually occur as the result of a rock or other hard object impacting the surface and taking out a small chunk of glass. Unless they are directly in the driver’s field of vision, these minor imperfections can usually be repaired and do not generally require a full windshield replacement. Repairing these chips quickly can prevent them from spreading, sparing you the expense of a full Houston windshield replacement and ensuring the clearest visibility for you behind the wheel. One of the most visible types of windshield damage, the bullseye is also one of the most repairable. Depending on the location and the extent of the damage, your Houston windshield repair team can often fill the chipped area and seal the cracks to restore your auto glass to near-perfect visibility. Left untreated, however, bullseye cracks can often develop into larger areas of damage that may require the complete replacement of your vehicle’s windshield. As their names suggest, edge cracks are created when an impact occurs near the edge of your windshield. Floater cracks, by contrast, are near the center and do not extend to the edges of the glass. Cracks that cover a large area of your windshield or that reach to the very edges of the glass cannot usually be repaired. In most cases, these cracks will become worse over time due to the bumps and impacts sustained during regular driving. Consulting with an established auto glass shop can help you determine the best course of action for floaters and edge cracks and can ensure greater safety for you and your passengers on the road. Stress cracks are subject to the same repair guidelines as other types of cracks. Because no glass is typically lost, however, the process may take slightly longer. Working with a reputable Houston auto glass company can prevent these cracks from expanding into your field of vision and reducing your visibility behind the wheel. Your windshield provides valuable structural support for your car, truck or SUV. Performing auto glass repairs promptly can provide you with added protection if you are involved in a collision with another vehicle. At Apple Glass, we specialize in providing expert windshield repairs and replacements for all makes and models of cars, trucks, vans and SUVs. We maintain two brick-and-mortar locations, in Houston and The Woodlands and offer mobile services to ensure the highest level of convenience for our customers. Whether your windshield has a minor chip or a spreading network of cracks, Apple Glass can provide you with the most cost-effective and reliable solution for your vehicle. Give us a call today at 713-680-1400 in Houston or 281-296-0600 in The Woodlands to schedule your appointment with our expert technicians today. This entry was posted in Windshield Replacement And Repair and tagged Houston Auto Glass, Houston Windshield Repair, Houston Windshield Replacement. Bookmark the permalink.